For the last two years the Race for Rhinos was held at the majestic Kubu Island and it certainly was an unforgettable experience. Because of the good rains in the area the pan became waterlogged preventing the temporary runways from being established. 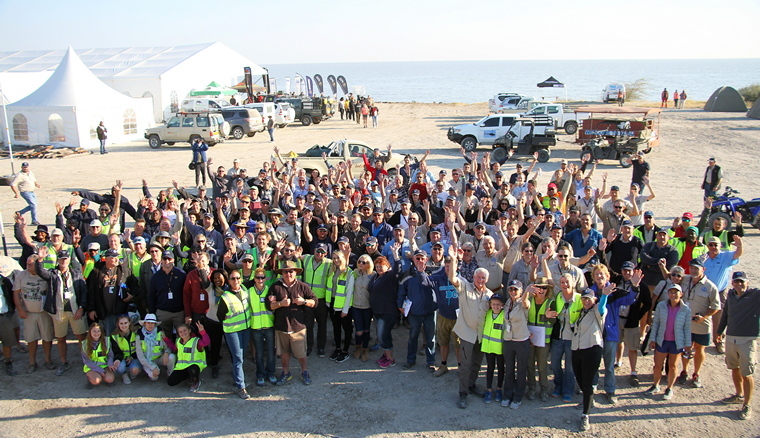 For the good people of Botswana that was no problem and the race was moved to the spectacular Sua Pan in the Makgadikgadi district and this year it was even bigger and better with seventy one aircraft, including two entries all the way from Alaska, starting the race on day one. The Sua Pan or Sowa Pan, first described to the European world by David Livingstone, is a large natural topographic depression within the Makgadikgadi region of Botswana. It is located near the village of Sowa, whose name means salt in the language of the San. 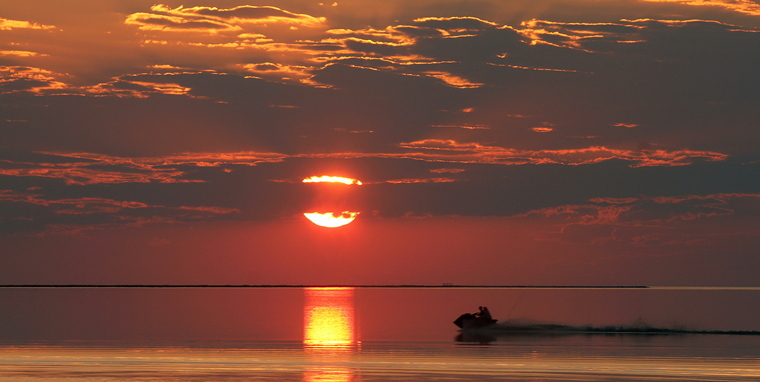 The Sua salt pan is one of three large pans within the Makgadikgadi, the other two being Nxai Pan and Nwetwe Pan. Currently, Sua Pan is a seasonal lake; it fills with water during the summer rainy season and retains water until April or May. Tshukudu International Airport and the tented city erected on the shores of Sua Pan. Among the more successful wildlife conservation projects in Botswana was the community-initiated Nata Bird Sanctuary in the northeast of this area. Four Rhino were relocated to the reserve released on race weekend as part of an initiative to establish the areas natural wildlife population. 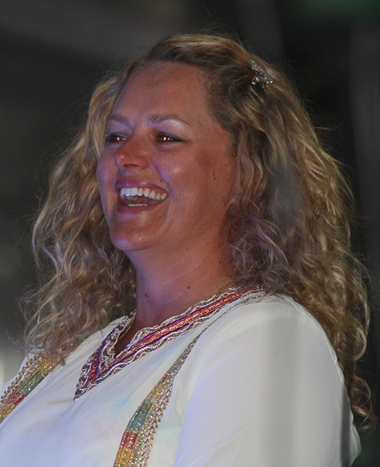 A spokesperson for the Tlokomelo Botswana Endangered Wildlife Trust said that it was really heart-warming to witness so many different sectors coming together in the centre of Botswana all for one common cause; to raise funds for relocation of Rhinos. 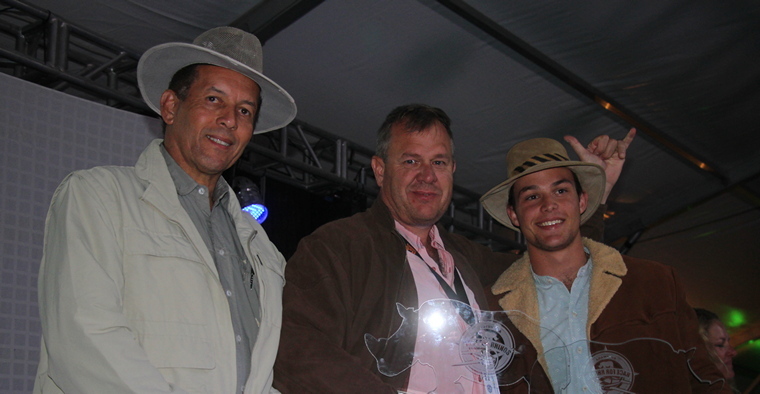 Last year, in Paris, France, Botswana Tourism won the price for the most innovative tourism campaign with their Race for Rhinos Campaign. 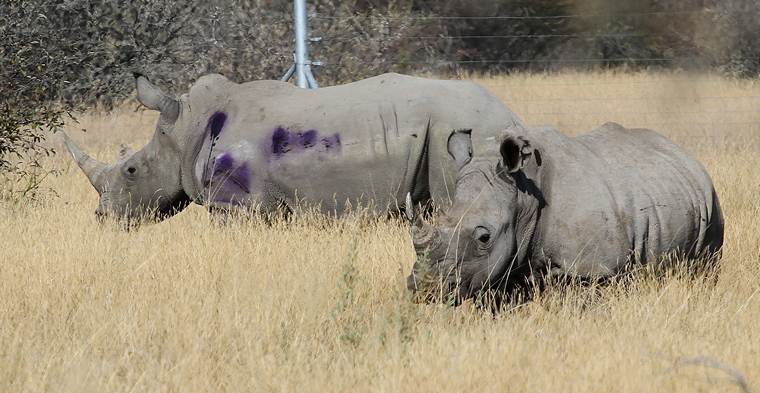 The release of the relocated Rhinos. Held over two days, seventy one competitors took off at 09.00 at five second intervals for leg one that covered a distance of 324.65 NM in perfect weather. Attrition was high with sixteen not qualifying for day two; ten for missing turn points, one for no logger file, three for getting lost and opening their envelope, one for not completing the route. Although they were out of the race they were still allowed to fly again on day two. Chris Prinsloo & Stefan Brandt in Mooney M20C race number 30 finished in 20th place on day one but missed a turn point on day two. Jon Marc & father, Mark Hill in the AN2 Race number 87 who finished in 38th place on day one was placed 26th overall. Jack Onderstall & Mike Bottger in Race number one the Glasair III was the first aircraft away on day one. They finished in 33rd place and eventually was placed 36th overall. Leon Bouttell & Mike Gamble in the Evektor Sportstar, Race 90, missed a turn point on day one but had an almost flawless day two. 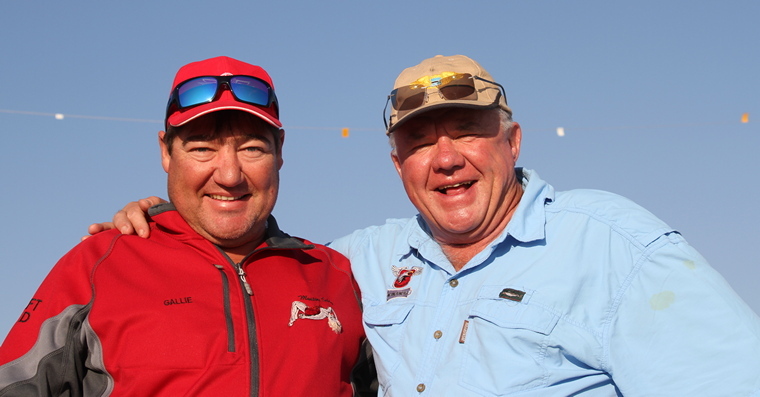 When asked about their opinion on the event, Mike and Leon agreed that it is the most incredibly organised event especially considering that Tshukudu is miles and miles away from the closest town. The infrastructure that has been put in place is absolutely mindboggling. 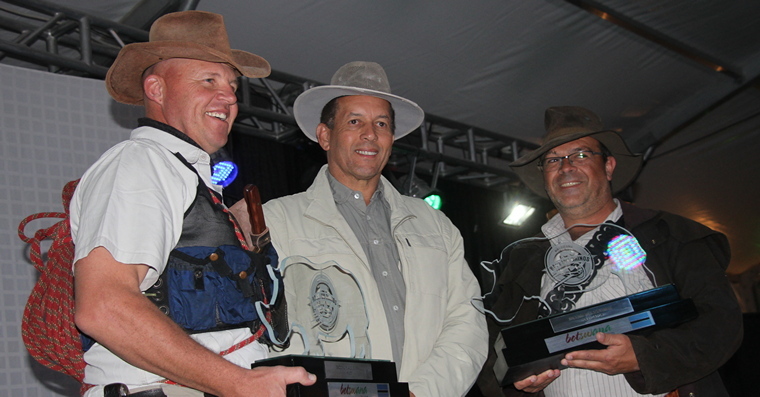 They agreed that there is not another event in Africa that can compare to the Race for Rhinos. 33rd Ryan & Tarien van Wijk, Race 19, the Robin DR-400 started day one in 47th and finished in 28th position and 33rd place overall. 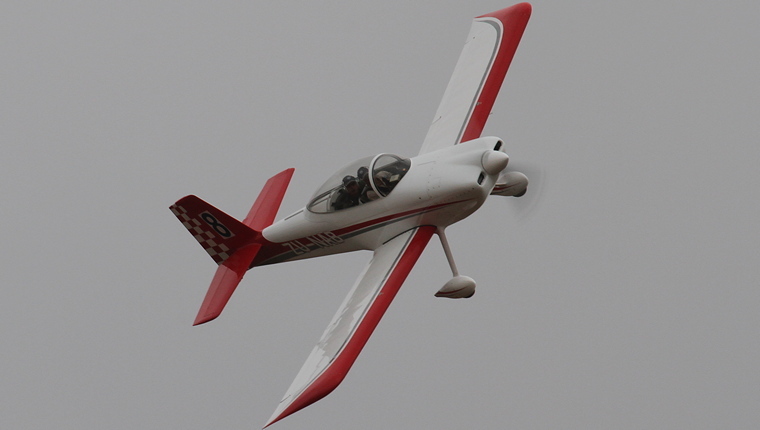 Mark Courbrough & Kenn Venn in the Aviat Huskey Race 81 was the fourth last to start day one and finished in 26th and was placed 30th overall. Jan-Paul Grobler & AJ May, Sling 4 Race 47 started 14th last on day one and by day's end were in 18th place and was placed 18th overall. Students at Potch University it was JP and AJ's first ever air race. They found it hard to believe how a complete town could be set up from absolutely nothing and how well the race was organised. They will definitely be back next year. 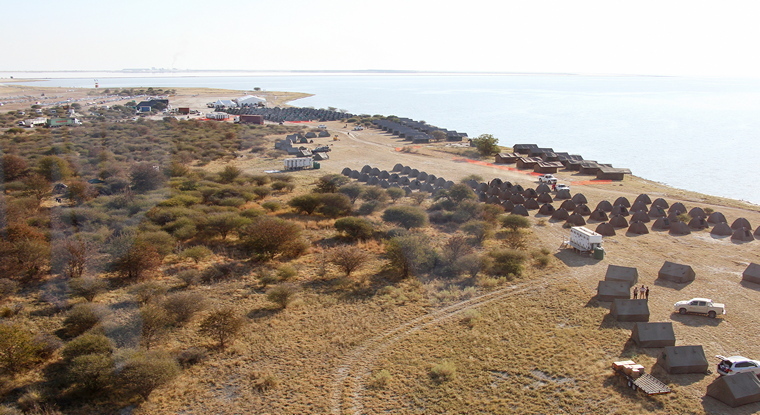 Khubu Island, the venue for the 2015 and 2016 events, was a truly magical venue that set the standard for all air races. On the shores of Sua Pan this year's race at Tshukudu had one searching for superlatives to describe it. Sitting in the giant marquee and enjoying the sunsets over the pan (that alone is enough reason to visit) whilst being entertained with awesome aerial displays made the Race for Rhinos, like Oshkosh, an aviation event that should be on the bucket list of all who has avgas in the their veins. On day two it was time for the slowest aircraft to lead in the pack. The route of 310 NM was just as challenging as day one and the weather during the race did not play ball on certain sections. Eleven competitors were excluded with missed turn points, three did not finish whilst one had no logger file. Glen Roering & Shaun Barron 24 Cirrus SR22 Race 83 was the 8th to start on day one. They finished day one in 37th place and was placed 24th overall. 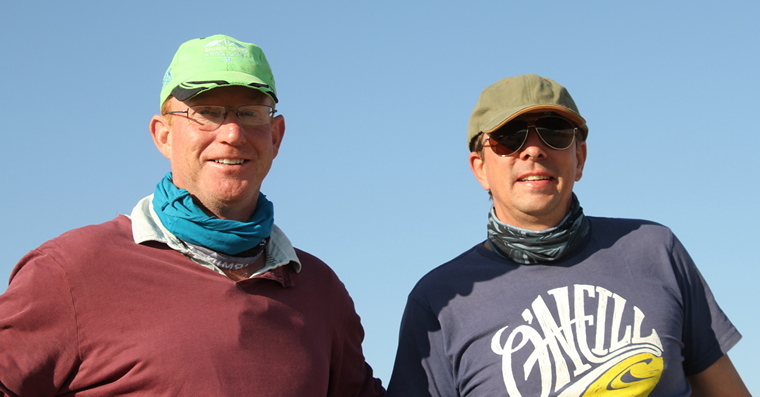 Guillaume Knipe & Gerhard Barnard in the Cessna 210N Race 40 started on 32nd place on day one and ended the day in 14th place and finished 16th overall. 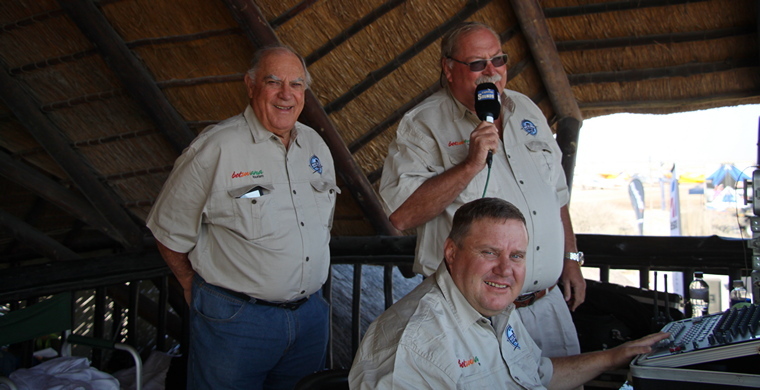 Thys Kuhn & Andre Burger, Race 8 in their RV8 started day one in 11th place and finished the day in 10th place and 14th overall. 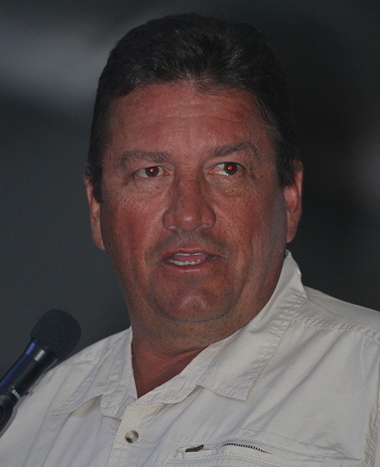 Thys, who flew the Rv8 that belongs to Andre and his brother Nico, was the navigator of the 2016 winning team. 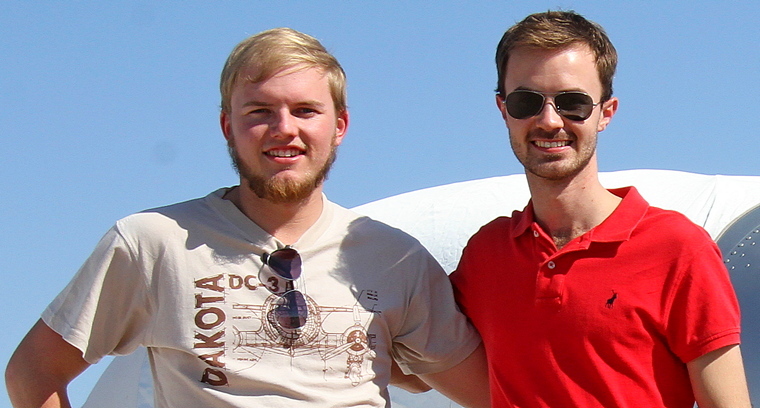 It was Andre's first air race and he had the time of his life. Like everyone that we have spoken to they too agree that the organisation was superb and that this year's race was even better than that of 2016. 15th Paddy Hinde & Brandon Bergman in Race 62 the Cessna 206T started well down the field on day and day's end were in 9th place and eventually finished 15th overall. Hennie & Dandre Bisschoff Beech F33A Race 82 started day one in 24th place and finished the day in 6th place and in 5th place overall. Although a temporary tented city, Tshukudu had all the amenities to make competitors and visitors stay as pleasant as possible. The tents had electric lights, there were hot water showers with flush toilets and three meals were served daily. Any city needs to have a way to communicate with its residents and that function was fulfilled by Capital Sounds who trucked tons of high tech sound equipment all the way from Welkom in the Free State, a journey that took them 15 hours. The team consisted of Brian Emmenis, Leon du Plessis, Roger Coetzee, Phillip Smith, Philip Scott, Guy Baker and Lappies Labuschagne. By early Saturday evening the marquee was packed to capacity as everyone eagerly awaited the final results. 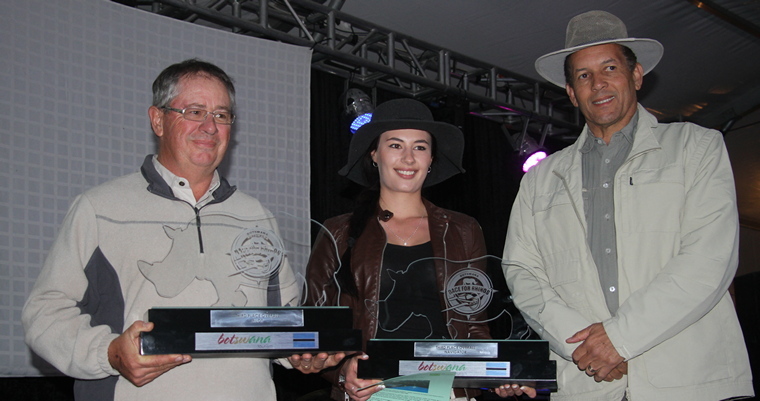 And the winners were Race 23, Dirk and John Booysen who flew the race in their Cessna 172F.Dirk and Johan were handed their trophy by the Honourable Tshekedi Khama II, Minister of Tourism of Botswana. Chris Briers and Tammy McAllistair once again pulled the rabbit out of the hat to make the 2017 Race for Rhinos an event none of us will ever forget. Is it a coincidence that the three best events we attended this year was directed by Chris or is this man simply aviation DNA himself? The standing ovation Chris received during the prize giving ceremony says it all!! We have attended some of the best air events around the world but nothing gets close to this. The exotic venue, the race, the organization, the entertainment� it is simply all magic and we still can't figure out how they can have it absolutely perfect three years in a row. If we can only attend one event per year, this will be it!! We also want to recognize all the unsung heroes who contributed towards the success of this event. 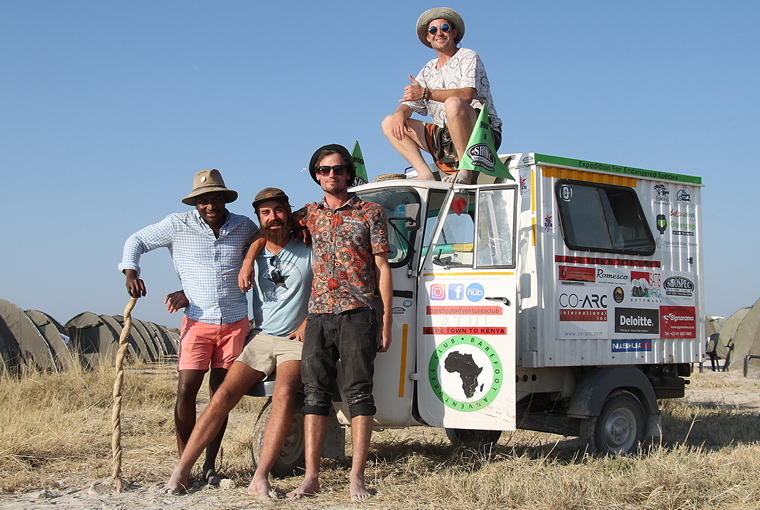 There are many of them and we thank them all but in particular, we want to mention Hentie de Wet and Guillaume Knipe who are always busy, working, organizing, running, and always making sure that we are treated like kings when we visit these Botswana events. The same goes to the two TelStar pilots Mike Ehrich and David Boshoff flying their open-cockpit aircraft in absolute freezing conditions at 11,000� for our safety. Gentlemen, we salute you! !